If you haven’t checked out the latest installment of the “Story of…” series, it’s worth a look & listen. It’s about the lifecycle of our electronics. All of the TVs, cell phones, game consoles, laptops that we buy and eventually kick to the curb are seriously toxic to produce and dispose of. Do we really need a new cell phone every two years like the phone companies like to push? Do we really need that fancy new laptop when we can upgrade ours with a new hard-drive? Watch the video, and then decide. I dare you to buy no new clothes for the next 3 months! (GASP!) Is it possible? You can bet your bottom dollar it is. I buy just about all of my clothes from second-hand/vintage shops (except for the intimates, that is). I’ve scored lovely clothing items at swaps, too (read: free clothes!). How will I accomplish this 3-month marathon of nothing new? I can take some cues from The Uniform Project or Brown Dress and wear the same dress in different ways for many days. If I’m craving something “new” I can scour Etsy and ebay for retro duds, or seek out unique finds following Brooklyn Based’s timely post on Brooklyn’s bevy of vintage boutiques. I can also make or remake my clothes a la Threadbanger. Or I can just make do with what I’ve got – limitation leads to creativity! So I’m taking the challenge to buy no new clothes for 3 months – won’t you join me? Join us in going vintage, thrift, recycled, hand-me-down or eco-friendly. Every single action has an impact in some way somewhere on this planet. Because of globalization, we are often disconnected from the impact of our everyday choices. For example, our new fall shirt might be made with cotton that requires 1/3 lb of chemicals to produce and manufactured in a pollution-emitting factory far away. Let’s make a positive impact and equal the balance. Support local shops owned by locals that dig out wearable treasures from the past and present. This will make you more stylish because five other people aren’t wearing it to work. Unleash your inner fashionista, while helping the planet. Worried about bedbugs? Us too. Throw your clothes in a dryer right away to kill them off OR you could put them in the freezer for 2 weeks (really)! The average American throws away about 68 pounds of clothing and textiles per year. 10% of all agricultural chemicals and 25% of insecticides in the U.S. are used to grow cotton. The materials used to make our attire are often environmentally toxic and require significant amounts of energy and water during the manufacturing process. The 12 to 15 percent of people who shopped at consignment and thrift stores in 2006 saved 2.5 billion pounds of clothes from re-entering the waste stream. The manufacturing of nylon emits nitrous oxide, a greenhouse gas with a carbon footprint 310 times that of carbon dioxide. According to the USDA, in one year alone over 50 million pounds of pesticides were used on U.S. cotton fields. Pesticide and fertilizer use on cotton has been linked to ground and surface water contamination, and the pollution of drinking water. In California, cotton ranks third in the state for total number of pesticide-related illness. Fish and wildlife and also impacted, with pesticides causing migration die-offs and diminished reproductive capacity. For those of you living in the New York City area, we’ve attached a list of vintage and second-hand clothing stores in our area. Want to host a Clothing Swap? Rachel Avalon lays out the fundamentals in this video. 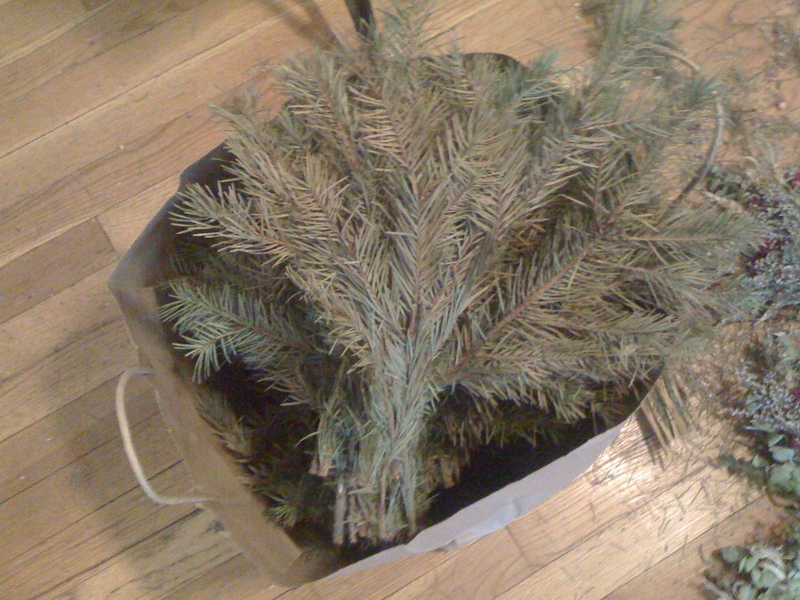 Read our [blog] (http://brooklyngreenteam.blogspot.com/) for occasional updates and helpful bits of information. You are all Super-Duper Heroes! *Challenge does not apply to underwear or environmentally friendly clothing. We think it’s only fair. For the last few Christmases, we’ve been taking advantage of my dad’s penchant for woodworking. The first year, he made us filing cabinets. The next, a TV stand. And then the following, a curio cabinet. While all of the pieces thus far have been beautiful and much appreciated, this year, he outdid himself. 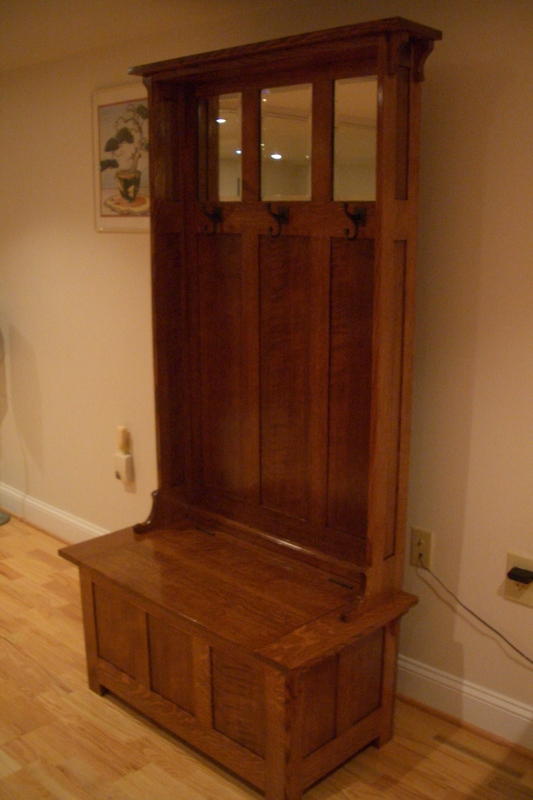 Using locally grown and milled quartersawn white oak from Woodman’s Sawmill & Cabinetry in Long Valley, NJ, he built us a hall tree (kind of a funny name, but I guess it’s appropriate). 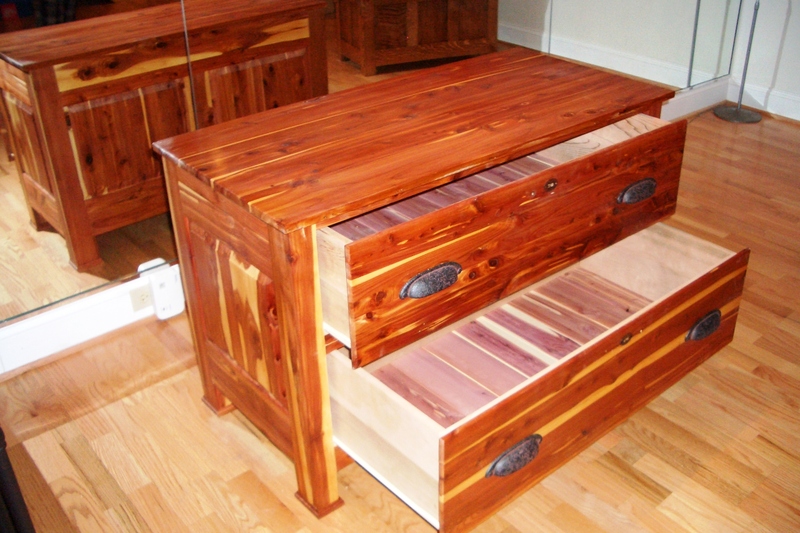 The back is even beautifully finished to conceal the mirror backs and hardware. 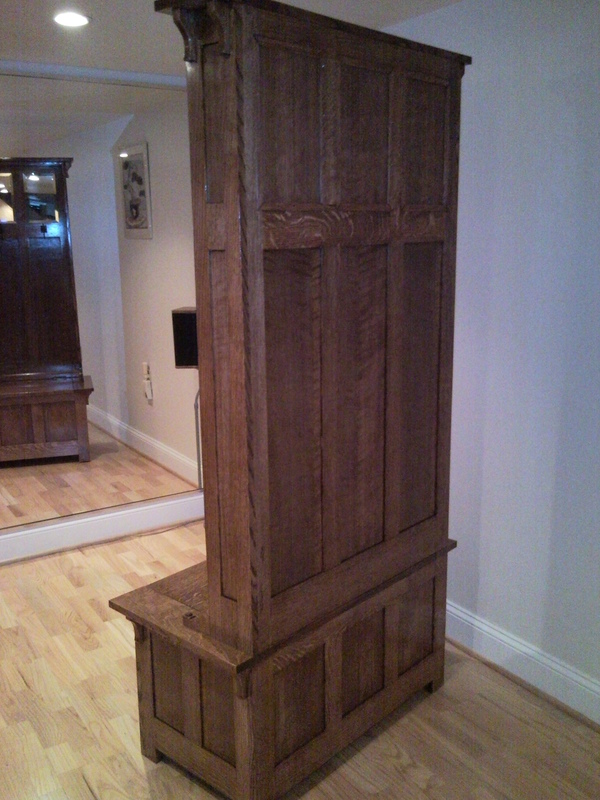 In addition to building us this great piece of furniture, my dad rescued a chifferobe from the neighbor’s trash. 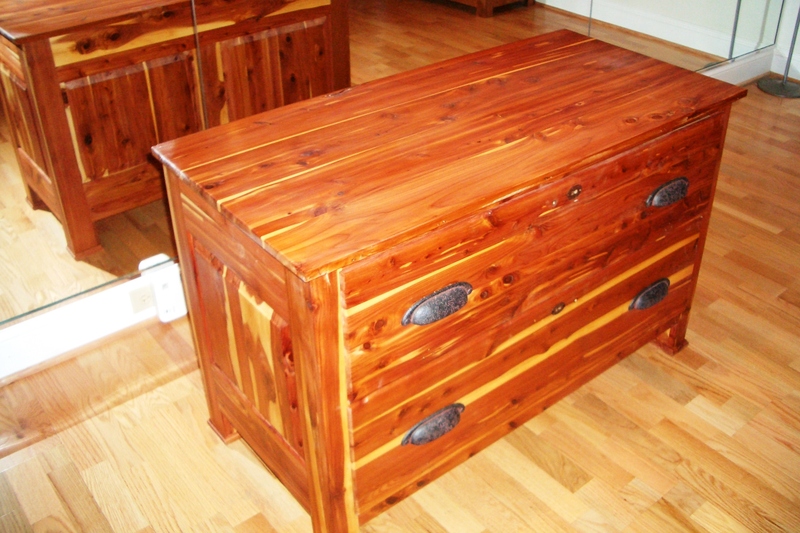 It turns out it was solid cedar, but whoever owned it before had painted it (!). My dad stripped it using a non-toxic soy-based solvent. 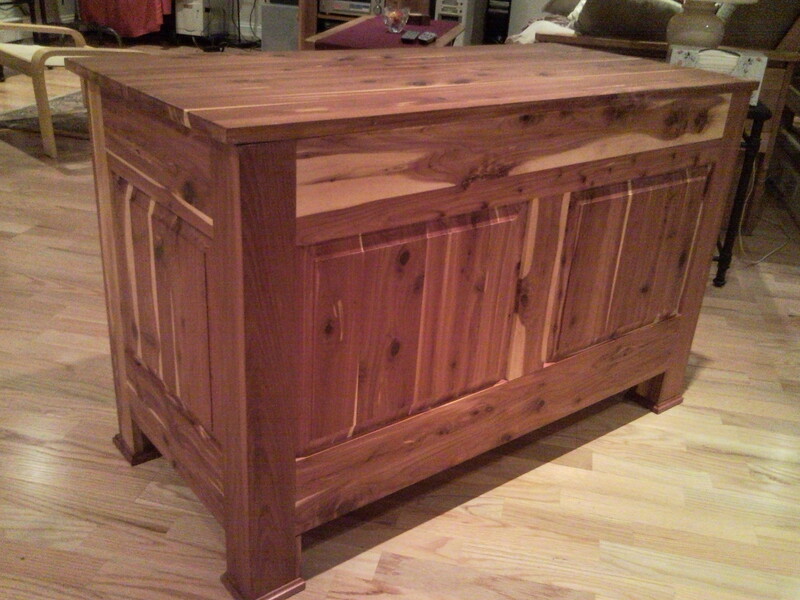 And then he completely rebuilt it into this new cedar chest of drawers for my auntie. He even fashioned the keyhole out of recycled tin. 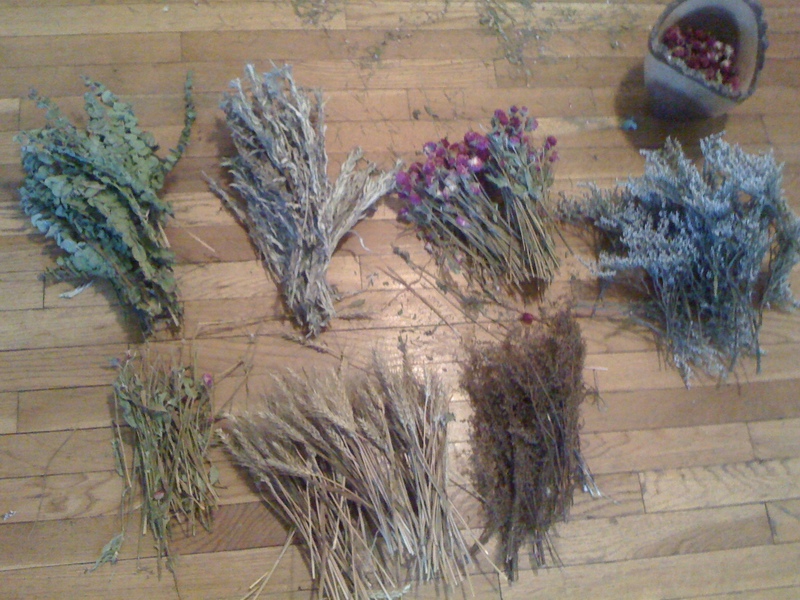 When I set out today to disassemble our holiday wreath, I was only thinking of the beautiful dried flowers and how I could put them in a jar or vase as decoration. But as I tackled the job to take apart this one product, I discovered a vast array of possibilities. In order to take something apart, it helps to understand how it was put together. 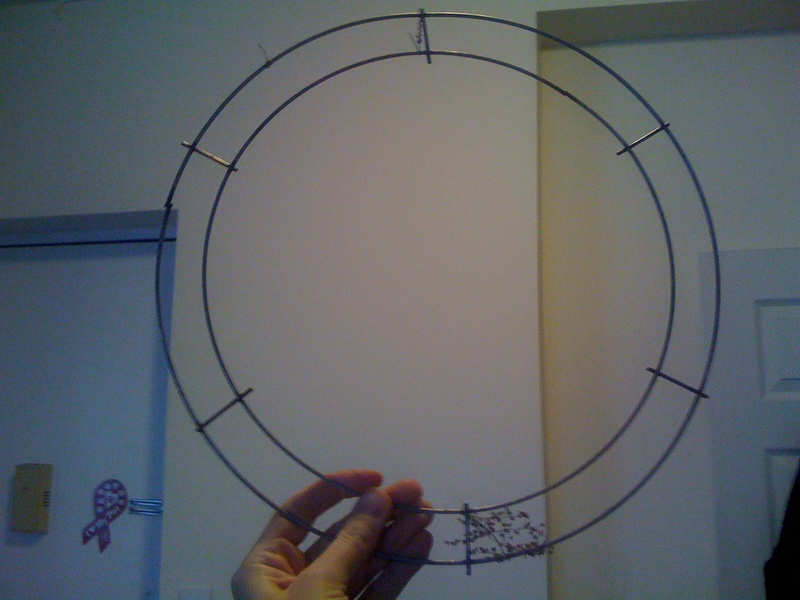 Turning the wreath around, I saw this one was constructed over a round metal frame with wire attaching the bows of pine. 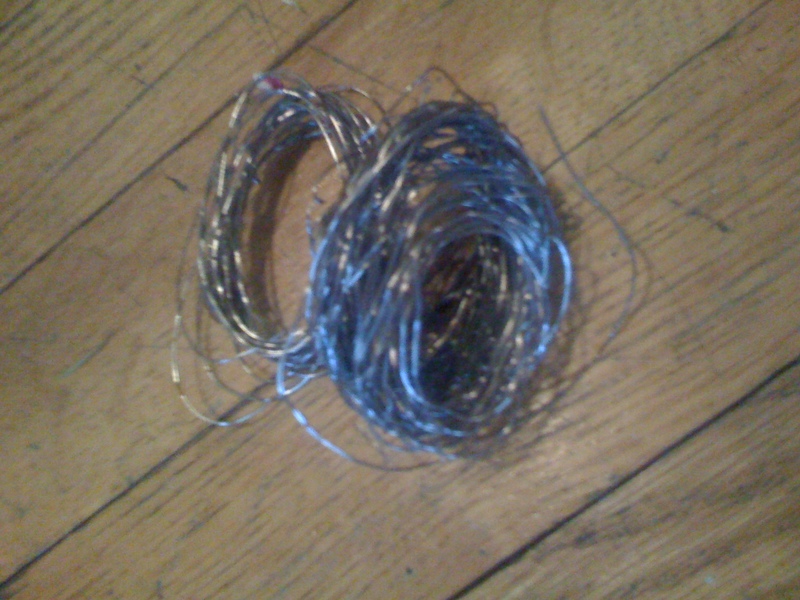 I grabbed a wire cutter and started unraveling the wire. As I made my way around the circle, I could see the arrangement was a series of sprays or bouquets with a range of botanicals. Some kind of magenta thistle-like flower, eucalyptus, a white star-like flower, wheat, pine, and some other plants I can’t identify (Leda, if you’re reading, I hope you’ll enlighten me!). This one was easy. Mulch. I’ll take the small pine branches down to the street trees for a nice covering. Or we can take them out to my bf’s sister & brother-in-law’s place to please the blueberries. I separated out all of the various plants into piles. 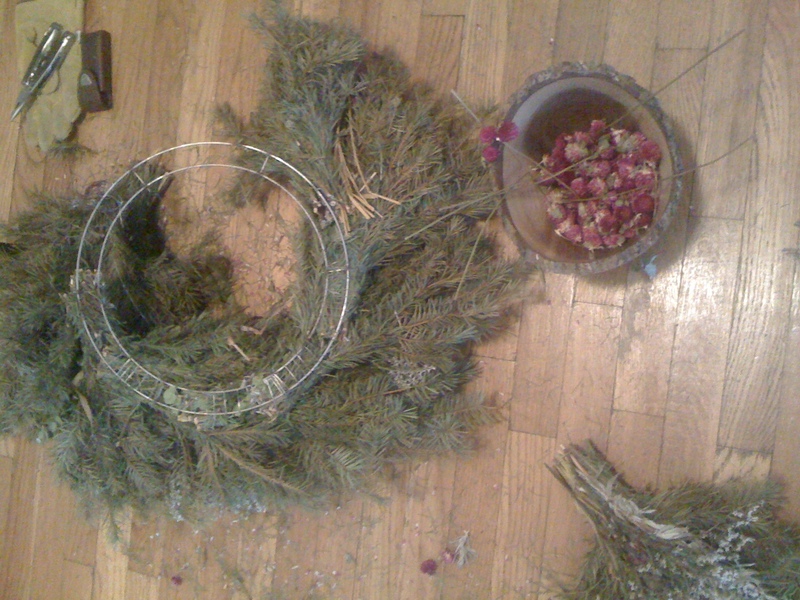 Collating them this way, I thought of the person who gathered these plants and strung them together to make a lovely holiday wreath. I was undoing their work, but giving it new life. 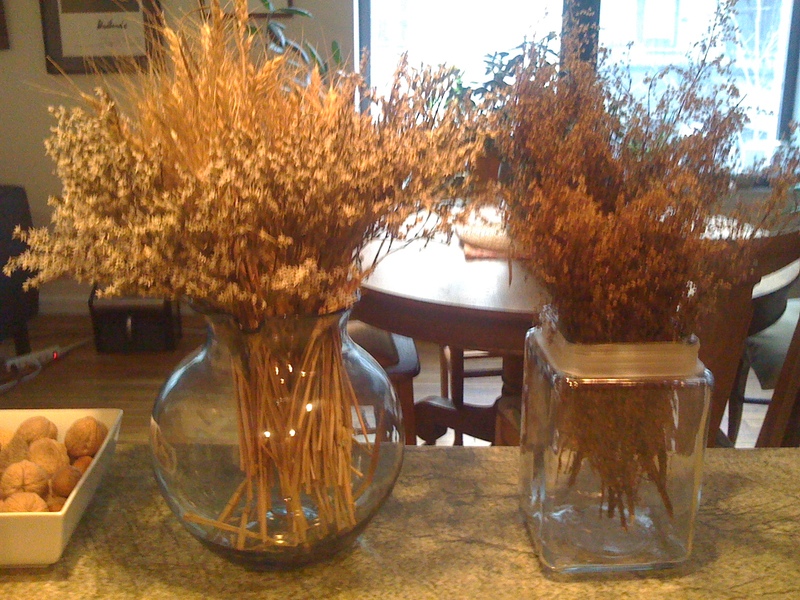 Now they’re in vases and various other vessels around the apartment. 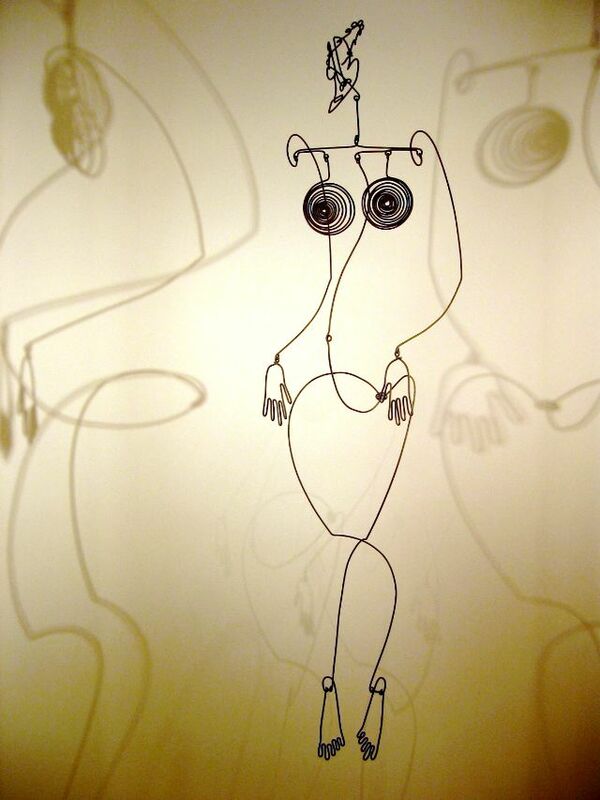 One could always use a bundle of wire. Crafts, jewelry, impromptu home repairs, tying up sagging houseplants, or maybe making a wreath of my own. How about a mobile? A lamp or chandelier. An art project. Part of a plant stand. A tie or belt rack. A giant halo for a Halloween costume. Any other ideas? I’ll be blogging about all of these developments as they happen, so keep your ear to the ground! 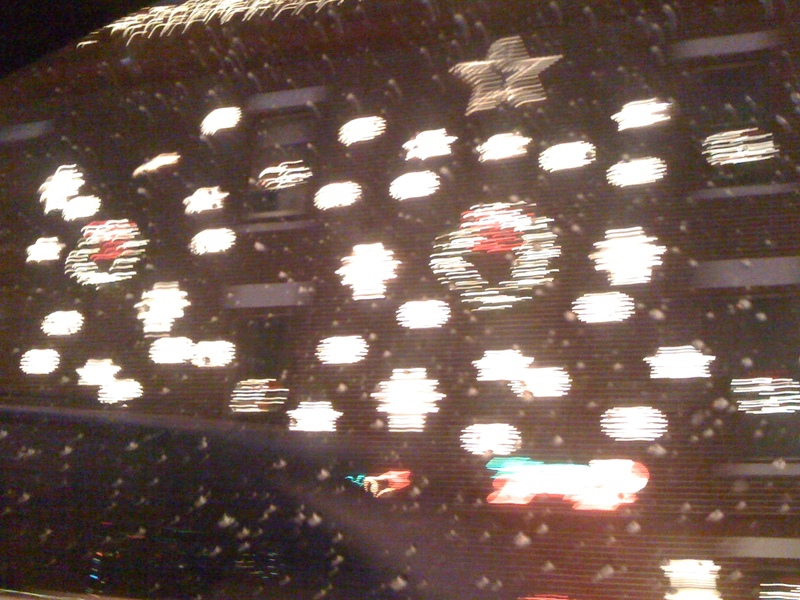 This season was busier than most in the crazy ‘prepare for the holidays’ crunch. We decided to invite 10 people over for Christmas dinner (that makes 12 total) – a feat we had yet to attempt in our modestly sized Brooklyn apartment. We started in November. 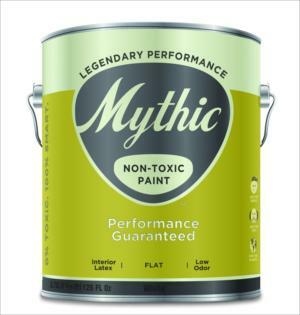 Using no-VOC paint by Mythic, we gave a fresh coat to the living areas (still have to work on the rest of the apartment!). 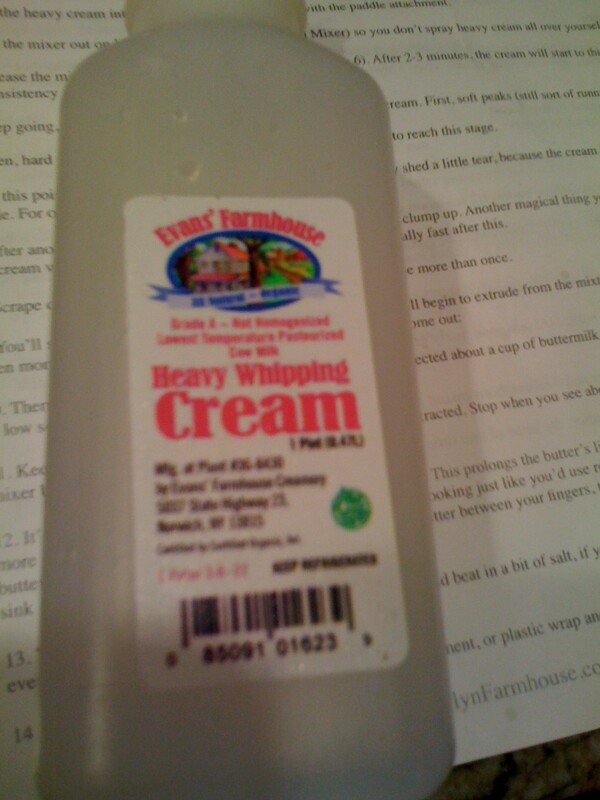 The stuff worked great – went on super smoothly & didn’t stink much, unlike traditional toxic paint. Painted interior, check. 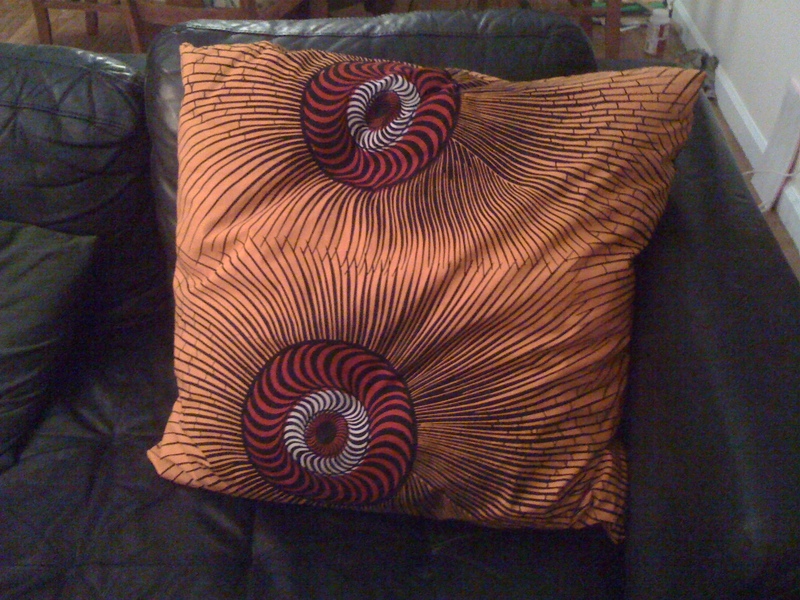 Another thing getting a lot of wear and tear was the throw pillows on our couch. I know I can make one, so why buy? Throw pillow, check. We wanted to create a warm & cozy mood for our holiday festivities. So I went out and got my favorite beeswax candles from Big Dipper Wax Works. 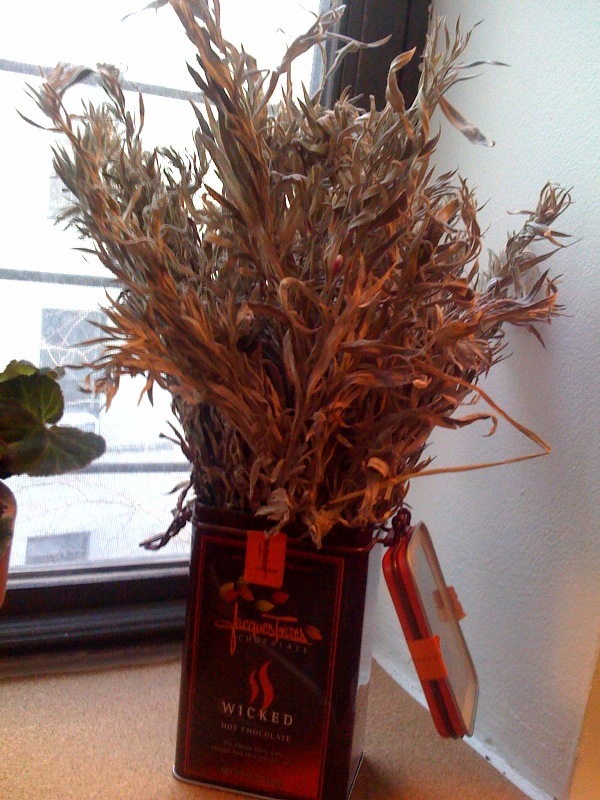 (They’re available at Whole Foods or on Amazon, too.) 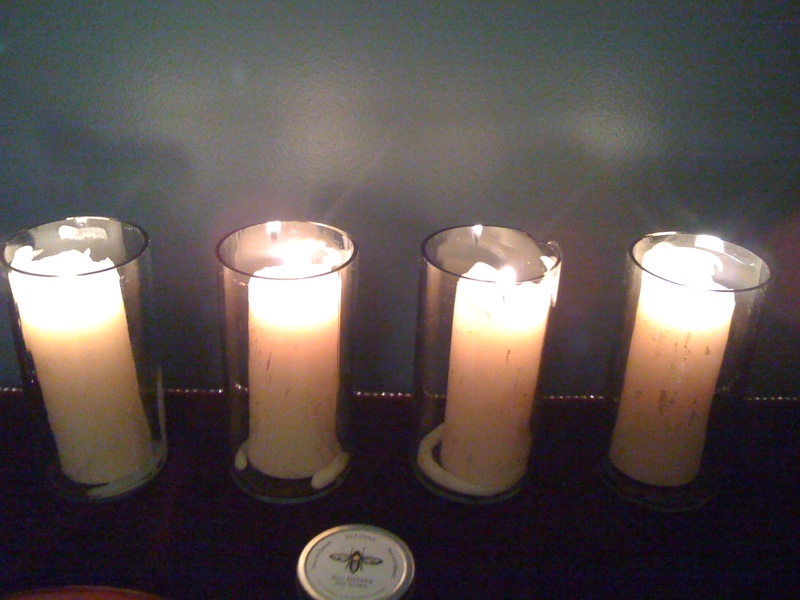 I didn’t have any candle holders and I’d been wanting to try out my Ephrem’s bottle cutter so I grabbed some old kombucha bottles I’d been saving up to upcycle into drinking glasses, or in this case, candle holders. It’s so ridiculously easy to do. Here are some rough instructions (the kit has more detailed info). 1. First, clean the bottles of all labels (this may require soaking in hot, sudsy water). 2. Next, lay the bottle on the wheels of the cutter and, holding firmly, turn the bottle towards you until you’ve met the beginning of the etch. 3. 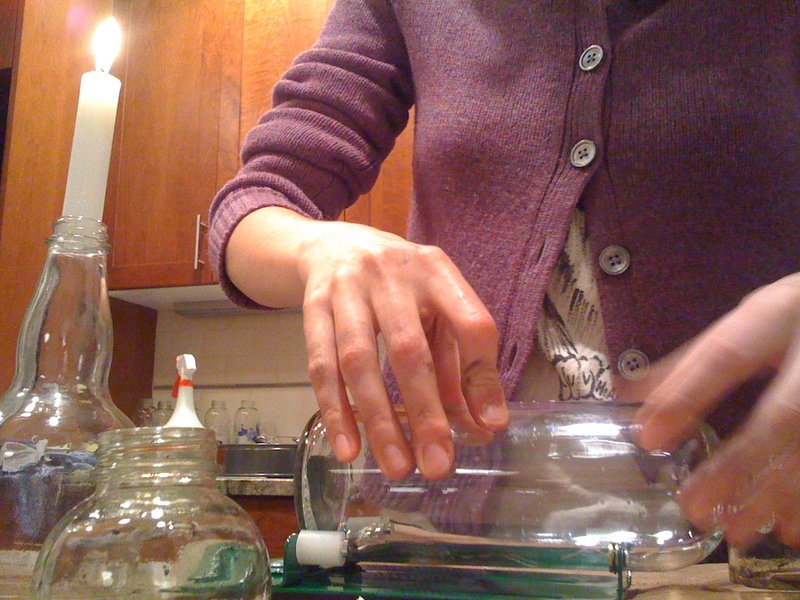 Then, hold the etched part of the bottle over a flame, turning slowly at first and speeding up. There should be soot building up on the spot. 4. Get it good and hot and then dip it in a bucket of cold water. The top of the bottle magically pops off, et voila! You’ve got a new product! (Actually two new products – the top can be used to make a lantern or turned upside down with the cap on to create a little dessert bowl or cup. 5. To finish the rough edged, get yourself some wet/dry sand paper, wet it down and smooth around the cut edge. I’d recently learned the art of soap & lotion making and wanted to show off my new skills to my family & friends. So I made a couple of batches of melt & pour soap and some bath fizzy bombs. We gave our party guests goody bags (see below) full of clean goodness. Handmade gifts, check. I don’t really like to buy new wrapping paper, so I either reuse it for years or make my own. This year, my boyfriend got in on the act and we made a whole batch of paper together. I carved out some stamps (I learned this skill from Make Workshop last year). 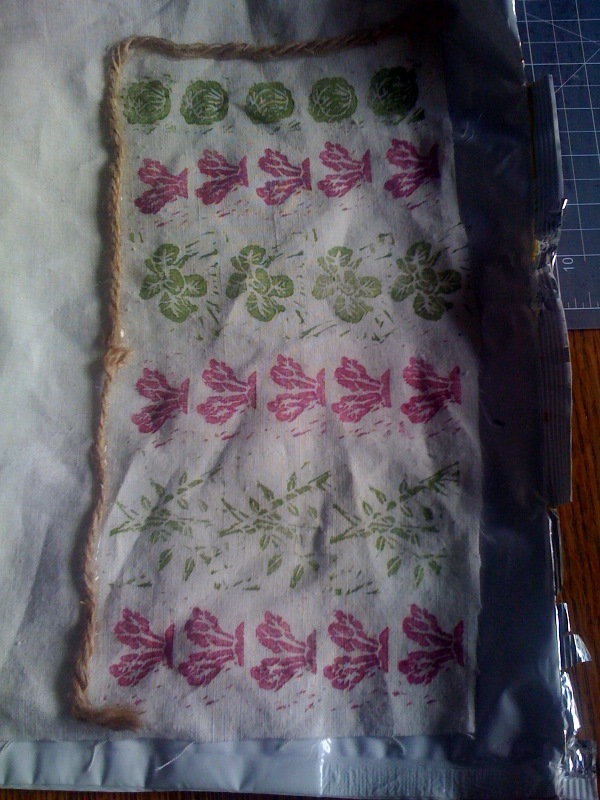 Using unfolded paper from some mailings we received, we stamped away in red, gold, and green (red, gold, and green!). 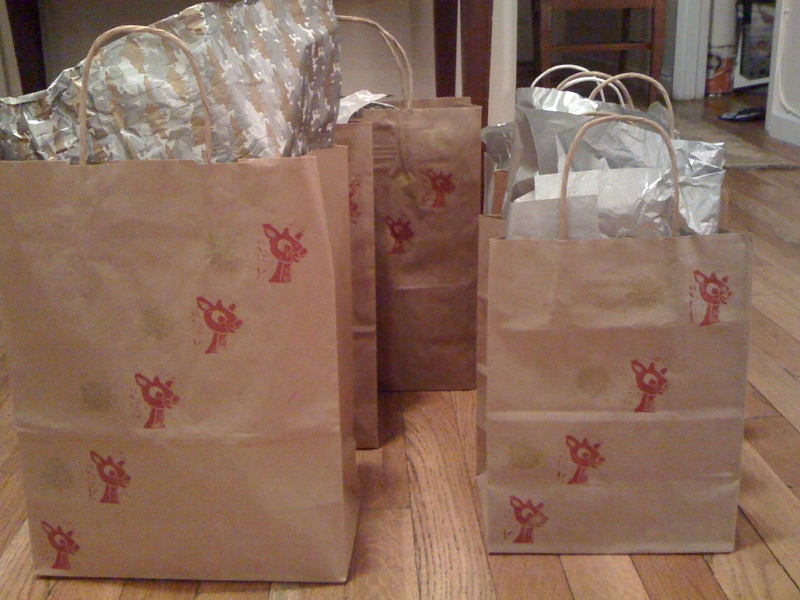 Handmade blockprinted wrapping paper & gift bags, check. This was all my bf’s doing, but I just had to mention it. We (he) made butter & ricotta (with some help from Brooklyn Farmhouse!) for the party. 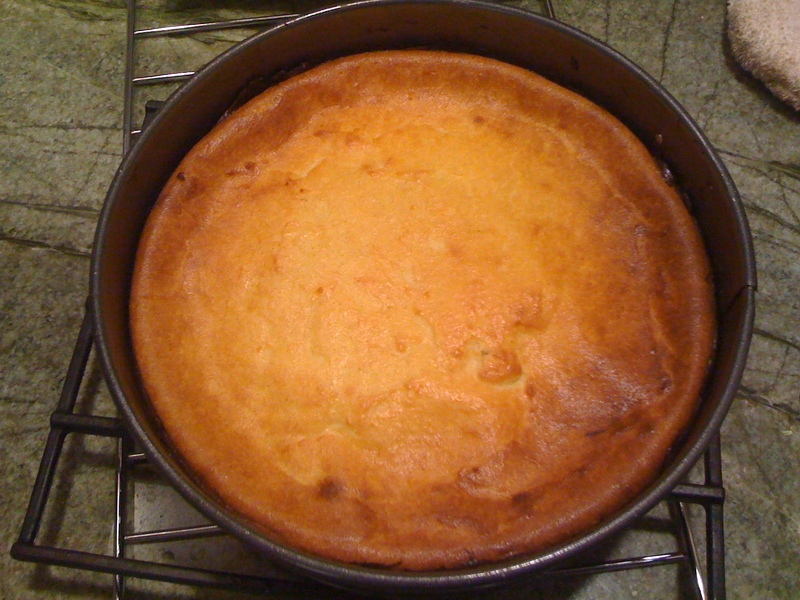 With the ricotta, he made Italian cheesecake. Delicious! A very Merry Christmas, check. Really any box is reusable, to wrap gifts, to store holiday decorations, for art projects, dioramas, etc, etc. Thanks, Icebreaker, for the reminder! There’s nothing like a gift that gives you that warm, fuzzy feeling. Quite literally, in this case. For my birthday this year, my boyfriend got me this incredible quilt by Mamaka Mills made from recycled fabrics. It has some really cool details, like patches of selvage fabric and this funny vest pattern on the underside. I was thinking this would make a great house-warming gift, a terrific wedding present, and of course, it would be perfect for the upcoming holidays. They also do custom memory quilts, made from your own clothing, textiles, and designs. 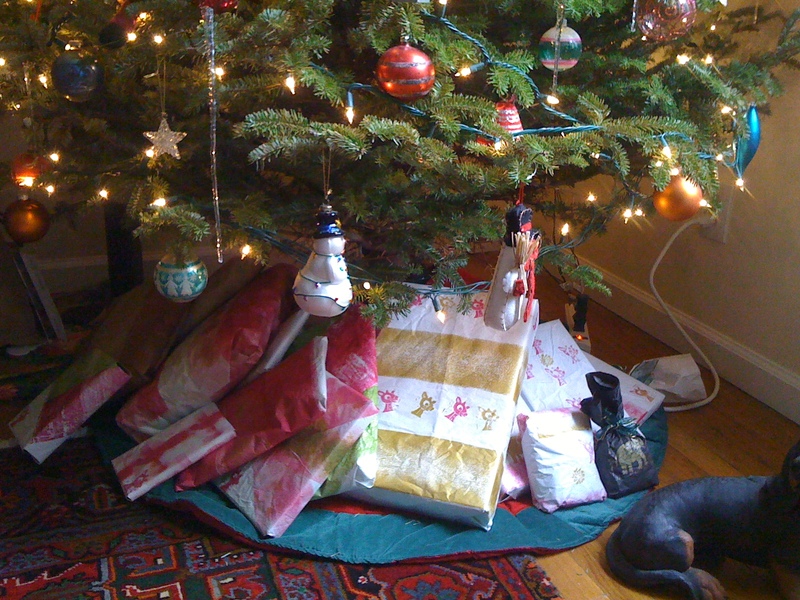 You can find Mamaka Mills “contemporary couture sustainable quilts” on Etsy or on their website, mamakamills.com. 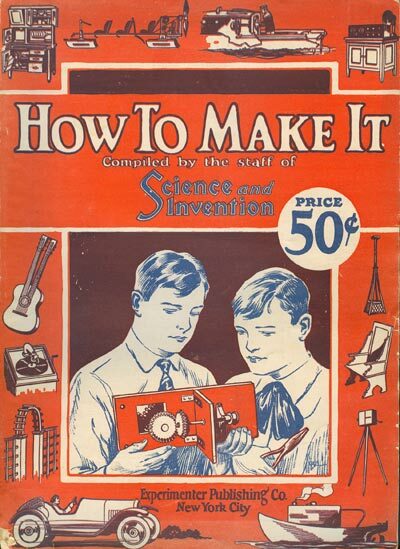 Got a hankerin’ to make stuff, but don’t know how? In a time when people are pinching pennies out of necessity or just to consume less for the good of the planet, it helps to know there are some free ways to learn a few new tricks. Lori Gibbs and Atom Cianfarani want to teach you how to GreenIt Yourself this Thursday with a green roof and gardening in small spaces Workshop. At the Toyota Children’s Garden (one of New York Restoration Project’s babies) from 7 pm to 8 pm. And there will be refreshments! Okay, this one’s a little bit preemptive, and maybe not so free, but it comes pretty darn close. This concert, featuring local bands, will help fund a day of skill sharing on October 10 at the Brooklyn Skillshare. On Saturday, October 10, you’re gonna learn all kinds of crazy stuff: ricotta-making, liquor-infusing, kombucha-brewing, screenprinting, and a whole lot more. The door price is based on a sliding scale ($10 suggested), so pay what you can. The fundraising show that’s this Saturday, on the other hand, is $7 and features local acts like The XYZ Affair and Gunfight!. Get all the details for the event and the fund-raising-music-show at the trusty e-newsletter of my favorite borough, Brooklyn Based. So you want to use a reusable shopping bag but don’t want to shell out the dollars to get one? How’s about making one for yourself? Learn how at this free workshop – 3rd Ward’s Sweatshop Social. You supply the fabric (an old t-shirt perhaps? ), they supply the notions and the (cheap) beer. Bring your own cup and the suds are just a buck. More free events coming soon to Brooklyn Botanic Garden through their GreenBridge Program (these are free, but ya gotta register – so sign up right quick!). Street trees do much to improve our environment, but they often receive little care. In this class, learn the benefits of street trees and how to improve the health of a street tree by caring for its bed. Get tips on amending soil, mulching, watering, pruning, and tree-bed gardening. Bring your street-tree care questions and find out more about the city’s efforts to increase and protect the urban forest canopy. Would you like to develop a children’s garden at your school, block association, or neighborhood organization? This workshop will provide tips for adult leaders who want to organize a children’s gardening program. Learn how to plan your program and what tools and plant materials are needed to get growing. You will receive a free activity booklet and visit our children’s education greenhouse for hands-on activities. Interested in knowing more about your soil? Concerned about safely growing food in urban soils? This class will demonstrate several easy diagnostic activities for learning about your soil. How to take a soil sample for testing will be demonstrated as well as interpreting lab results. You’ll also receive tips on improving urban soils. Learn the benefits of reducing your dependence on NYC water and minimizing storm water flows into our sewers by collecting rainwater for use in your garden. It’s easy to use roofs from nearby buildings and garden sheds to harvest rainwater. Come learn about the different types of rainwater harvesting systems being used throughout NYC community gardens from simple pickle barrels to large tanks, and get tips on how to build your own. Permaculture is a design approach based on interpreting natural patterns for human benefit. Learning how to read the land and planning for long-term development are two objectives of this workshop. Permaculture works on all scales and levels. Discussion will cover topics ranging from choosing and using plants in groupings to observing and utilizing the elemental forces of wind, water, and sun.